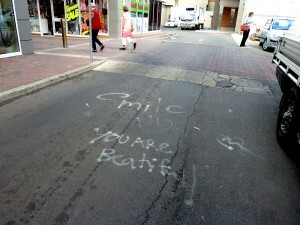 Pavement graffiti can be found everywhere if you keep an eye out for it. That’s what I always say, but looking back through my archive of photos I wonder if that’s really true. 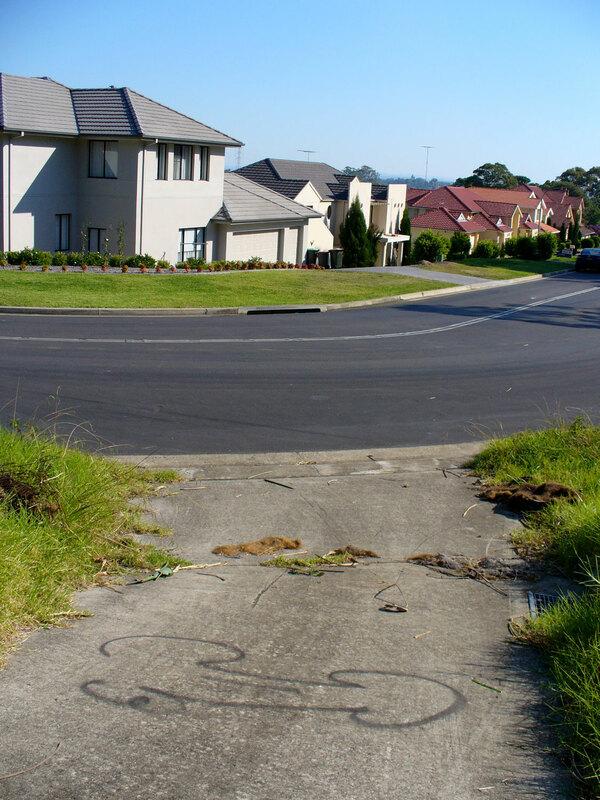 It’s easy for me to find pavement inscriptions because I live in the inner-west of Sydney where feral art and graffiti of all sorts is a common feature of the landscape. I have also travelled in regional New South Wales a fair bit, and have found some great examples on country roads and highways. 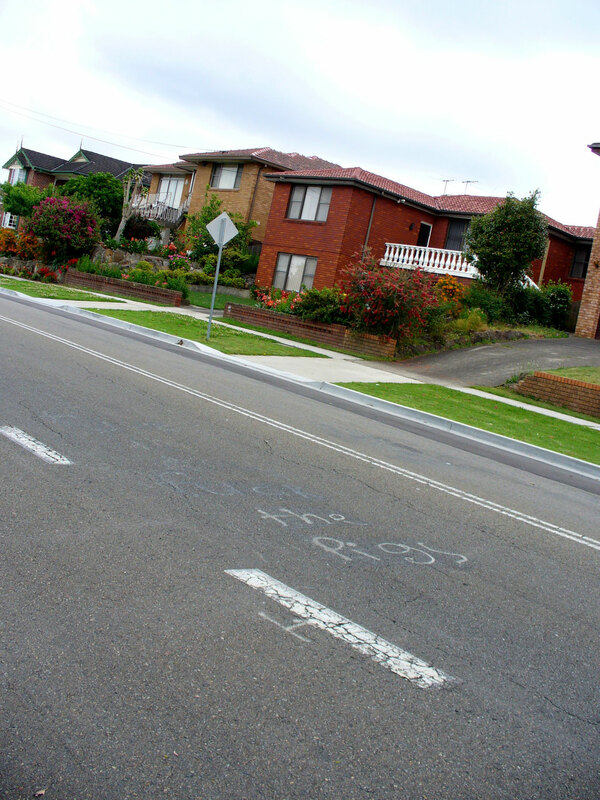 But what about the tidy or more conservative suburbs in the wider city? 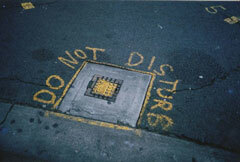 Do I have many photos of pavement graffiti from these places? The answer is No. I guess there are two main reasons for this. Firstly, although graffiti is drawn on the asphalt acres of suburbia, it is less prolific than in Glebe/Newtown/Darlinghurst. Secondly – dare I admit? – on my daily rounds I stick to the inner city and rarely venture into the ‘burbs. But here is a small selection of examples to show that submerged stories do erupt on the paved surfaces of the suburbs. And my End-of-year resolution? More walking in unfamiliar parts of Sydney.